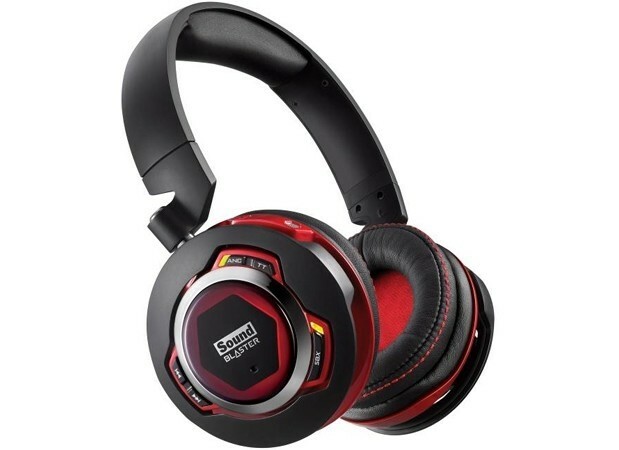 Creative Technology on Wednesday announced two new wireless headsets, the Creative Sound Blaster EVO ZxR and Sound Blaster EVO Zx, that feature an embedded multi-core Sound Blaster SB-Axx1 processor designed to boost the overall quality of music, movies, games and more. Most headsets on the market, even high-end units, have a single job – to produce audio exactly as it’s distributed, often times from a compressed source like an MP3 file, YouTube or other video sharing source, streamed music or even mobile game – regardless of quality. That’s not the case with Creative’s latest, however, as they are designed to intelligently enhance audio in real-time. It’s the same sort of technology that enthusiasts have enjoyed from Creative Sound Blaster PC sound cards, the company said in a press release on the matter. The headsets aren’t just for listening to audio, however, as a dual microphone array concealed in the ear cups of each unit allow them to be used with smartphones, tablets and computers for voice chat. The headsets can connect to devices using the aptX and AAC Bluetooth codecs, near-field communication and over a wired USB connection should your gadget or computer not support wireless technologies. The Sound Blaster EVO ZxR with 50mm drivers and active noise cancellation will retail for GBP249.99 ($391.91) while the lesser Sound Blaster EVO Zx with its 40mm drivers will set you back GBP199.99 ($315.51). They’ll be available in the UK later this summer, we’re told.